Fruit growers in South Australia’s Adelaide Hills are counting the costs of severe hail damage for the second year in succession. Storm fronts ripped through the region late last month, with initial indications suggesting the damage is at least as severe as that caused by a similar weather event in October last year. “Last October we talked of this being a ‘once in 100 year storm’, so it’s just heartbreaking to think that this can happen two years running,” said Susie Green, CEO of the Apple & Pear Growers’ Association of SA (APGASA). The storms brought hail and widespread power outages to apple crops in Uraidla, Forest Range, Lenswood, Balhannah and Oakbank, just as the new season’s fruit was forming. The full impact of the storm is likely to become clearer in coming weeks as fruit matures. 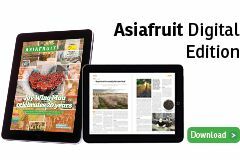 Apple & Pear Australia’s head of government relations, Jeremy Griffith, hoped the industry would again partner with major retailers to ensure high-quality fruit does not become unsaleable due to cosmetic issues. 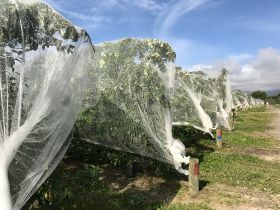 Griffith also suggested the South Australian government should consider a subsidy scheme for protective netting, similar to one already in place in New South Wales.